Steady and serene, it's also enticingly, maddeningly seductive. We turn our attention to a beloved/indispensable perfume mainstay that's been prized all over the world for millennia: intoxicating, inviting, warming, creamy, irresistibly smooth sandalwood. 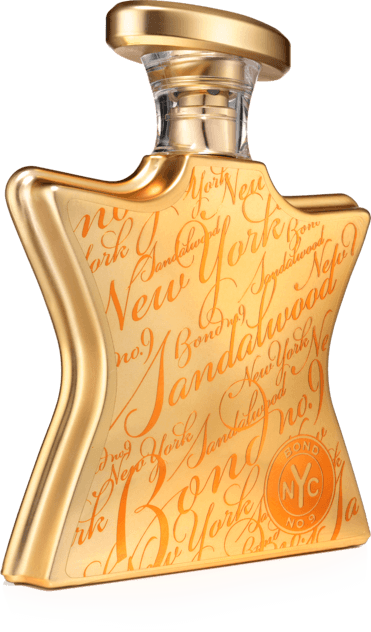 New York Sandalwood is the perfect scent for the colder months. Get your most comfortable Cashmere sweater, snuggle up in front of the chimney with a hot chocolate and a good book, and spray some New York Sandalwood on. That's how I will spend the next few winters. The fragrance starts woody right away. But the woodiness is soft and warm, with a slight powdery note. Fig and Carrot may sound unusual as notes in a scent, but they do wonders in New York Sandalwood, as they give the composition the creamy feeling that makes it so comfy. I'd say get it as soon as possible, winter is coming soon!